"Today Her Greatest! For a woman there's always an excuseâ€¦"
A tender love story, a taut psychological drama, an inspiring tale of physical and spiritual transformation. Bette Davis plays Charlotte Vale, a spinster who defies her domineering mother to discover love, heartbreak and eventual contentment. 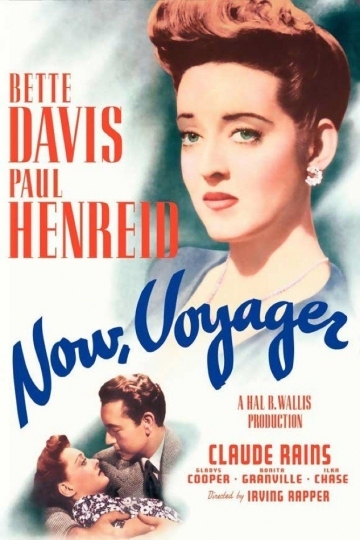 Now, Voyager is currently available to watch and stream, buy on demand at Amazon, Vudu, Google Play, iTunes, YouTube VOD online.